Offering excellent value for money, up and over garage doors are one of the most popular types of garage door available. Our range features the canopy style one-piece up and over door. This doesn’t rely on tracks being inside the garage. 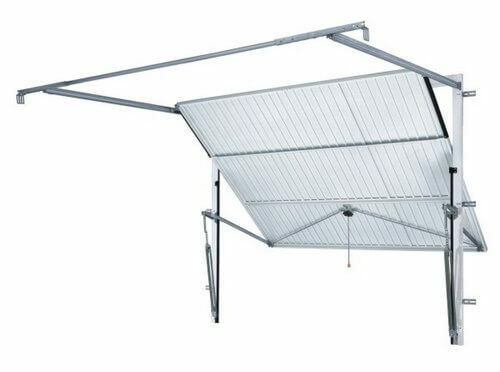 Instead, a spring above the door provides all the tension needed to help the door open and close.This lifting mechanism allows around one third of the open door to protrude from the front of the garage when the door is open, giving it a “canopy” effect. 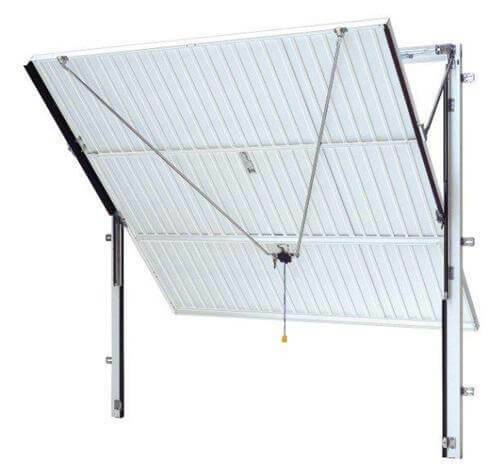 All panels are available with the optional retractable mechanism, meaning the door will actually slide back into the garage, which means this system can be adapted to open and close electronically with ease. No cables are used in the lifting operation, instead side mounted arms with tension springs attached lower down assist the opening of the panel whilst the door panel opens into the garage on horizontal steel tracks using rollers at each corner of the door panel to support it.